MURWILLUMBAH 110th Annual Show Friday 5th till Saturday 6th November 2010. I was there and I met some amazing people everyone sharing their own insights to why biochar is the way of the future. It really pleases me that people are actually embracing this ancient technology and I recon about 0.05% of the people at the show actually stopped to talk to us. That is a really high score for Murwillumbah. I must say it was my mascot that brought most of the folks over to talk to us. 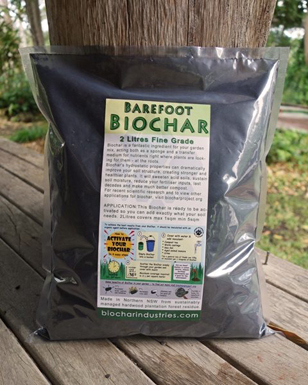 I sold bags of biochar, DVD and gave away many handouts Some folks even wanted to buy biochar by the tonne so I took their details for a little midweek action. I got invited to talk at 2 different garden clubs and had lots of intrests in my biochar bootcamp so hopefully people in Murwillumbah will be getting the message about biochar sooner rather than later.